Diwan was founded in 1977 as an organization of independent Breton language schools. In a society where French had become the dominant language in all public life, the Celtic language of Brittany, spoken by an estimated 250,000 people, had attained only a token place in the region’s schools. The Diwan schools used the immersion approach of language teaching in order to give children the chance to master Breton as a living language. Immersion means that Breton is the sole language of instruction from preschool through Cycle 2 (children eight to nine years of age) of the primary school level, followed by partial immersion (French is introduced alongside Breton) until the end of primary school. At the middle school level a third language is introduced which is also used as the medium of instruction for a class. Breton is even used in the everyday activities of the school such as during recess and lunch. Far from stunting students’ abilities in French, tests show that Diwan students’ competence in French is as good as, if not better than, the average monolingual French speaker in French-only schools. Today the Diwan Breton language schools educate some 2,800 students in thirty-four pre- and primary schools, four middle schools and one high school. In the fall of 2004 the first Diwan school outside of Brittany was opened in Paris to serve the strong emigrant community there. To allow each child to build his or her own personality. A strong cultural identity provides a point of reference, something that is often missing for many youth today. This reference point is a factor in socialization based on tolerance and a desire for exchange. Diwan has proven that its immersion pedagogy works for the children it educates. Now, the challenge for continued growth is financial. Although many teachers’ salaries are paid by the French government (teachers are civil servants in France), there are currently over a dozen teachers whose salaries must be covered by fundraising. Whenever a new school is opened it must wait for five years before it can come under the government salary contract. In addition, by putting the Diwan schools into a private school category, the French government has limited public contributions of building space and money, no matter how willing and able a particular town and population may be to offer support. However, the Diwan schools are not run as private schools. They charge no tuition and are open to anyone who wants to enroll. Apparently, Diwan’s mission to teach using the Breton language is against the French Constitution which states in Article 2 that “French is the language of the Republic.” This constitutional argument also blocks France’s adoption of the European Charter for Regional or Minority Languages. Although the charter was signed by France in May 1999, it is yet to be ratified so that the meager protections it affords to languages like Breton can be put into place. At the end of December 2002 the Conseil Constitutionnel (a high court of France), commenting on Article 2 of the constitution, also challenged Diwan’s legitimacy and its immersion philosophy: “The use of a language other than French cannot be imposed on students in establishments of public education in the operation of the establishment or in teaching subjects other than the language in question.” This opinion not only challenges the use of Breton as the language for playground or cafeteria communication, but also as the language of instruction in math, science or history—a restriction which could also impact regular public school bilingual programs where such subjects are also taught in Breton. Yet, it is precisely this use of Breton in the life of the school that so effectively allows the youngest children (preschool and primary school) who do not come from Breton-speaking families to master the language. The whole point of enrolling one’s child in a Diwan school is to get such immersion (which is chosen and not imposed). Any proposal for public school integration that compromises this is not acceptable to the Diwan school system. Moreover, there is wide public support for the Diwan schools. On March 22, 2003, an estimated 15,000 people took to the streets of Rennes in the largest ever demonstration for the Breton language. For the demonstrators, the Diwan schools are a symbol of hope for the future of the Breton language and a catalyst for the development of bilingual programs in the public and Catholic schools of Brittany. 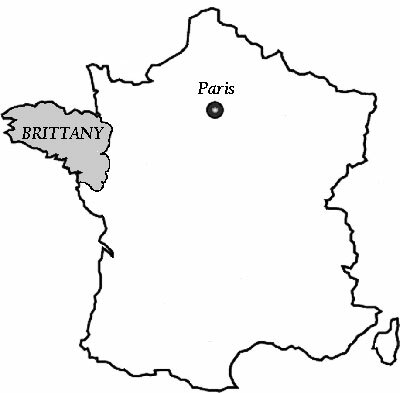 For the 2003-04 school year, Diwan was hopeful that the Regional Council of Brittany might offer additional financial support. Supporters had focused their efforts on obtaining public integration to the detriment of fundraising, and debts were mounting. However, the Regional Council stated that it had already given generously to Diwan. The Council was willing to advance part of its financial support for 2004, but with some conditions. First, Diwan would continue to negotiate entry into the public school system with a true bilingual program where French would be used in equal proportion to Breton (goodbye to Diwan’s immersion teaching). Second, while awaiting public school status, Diwan would require parents to pay tuition (goodbye to Diwan as a public service). Because immersion education and free tuition are at the heart of the Diwan school system’s goal statement, the offer of an advance was rejected. Even though, during the summer of 2003, Diwan had successfully raised the funds necessary to stabilize its 2003-04 school year, financial challenges remain a major obstacle for the expansion of the schools. Parents and the people of Brittany can only dig so deep into their own pockets to make donations. On a more hopeful note, new leadership at the Regional Council of Brittany seems poised to offer stronger, unqualified support and, perhaps, to work for changes in the French constitution and national policies. In the meantime, it seems clear that France is determined to use its constitution to stifle the growth of any language other than French within its borders. Article 1. The Diwan association is open to all families desiring the assurance of an education for their children through the Breton language, without socioprofessional, philosophical or political discrimination. The schools are free of charge and open to all. Article 2. Diwan exists because of the deficiencies in the National Education system which does not give its proper place to the Breton language. It demands that the schools be taken charge of in a democratic and renewed public education service in Brittany, allowing the use of Breton as the language of teaching from preschool to the university in all areas of learning. Article 3. Diwan is independent of any philosophical, religious, political, syndicate, or other formation. In consequence, Diwan affirms that its fight requires that the religious, philosophical or political convictions of all of its members be respected, whatever their range as long as they are not contrary to the Universal Declaration of Human Rights. This indispensable tolerance leads Diwan to defend and promote a secular [nondenominational] character in its teaching and to guarantee the liberty of thought for each person. Article 4. Diwan establishes a democratic teaching with the effective collaboration of parents, local collectives, and teachers. Diwan asks parents to create a climate conducive to expression in the Breton language in the daily life of the home. Article 5. Diwan takes upon itself the encouragement of the use of Breton within the association at all levels. Additionally, Diwan promotes a cultural development in the Breton language giving each child the maximum opportunities to forge his or her own future, permitting children of Brittany to take charge of their natural, social and economic environment. Article 6. Diwan declares its hostility to all linguistic uniformity and is supportive of diverse forms of cultural expression, affirming that only in being complementary can they be a source of unity, and of mutual and collective enrichment. The Breton taught in the Diwan preschools is that used in their geographic and human environment. Article 7. In conformance with the inalienable rights of people to express their own culture, Diwan calls on all people who love democracy, Breton cultural organizations, and unionized groups—especially of teachers—to fight with her for more justice and against all forms of cultural dominance. Article 8. Diwan declares its solidarity with all peoples who fight for their cultural identity, including immigrant workers, affirming that their diversity contributes to the enrichment of the human patrimony.